Back office optimisation is the process of optimising the efficiency of your back-end business operations. Take a minute to take stock of the tasks you and your team perform each day, and consider how much time you spend on each. Do you spend the majority of your time on profit-building activities? Or is it the manual, repetitive, time-consuming (and often tedious) tasks that chew up your day? By optimising and automating your back-office activities like purchasing, inventory and shipping, you will not only win back valuable hours in your day, but you will also save money and labour — precious resources that can be reallocated elsewhere in your business. It’s more important than ever to deliver consistent, personalised experiences for your customers. 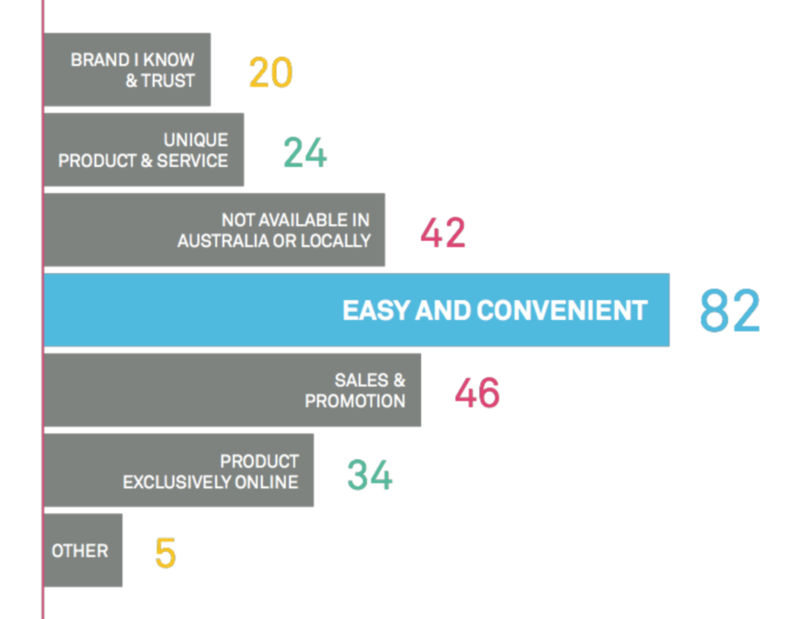 Recent research we did with Telstra found that customer experience is the number 1 reason consumers choose to shop online. Here’s a few of the ways you can improve your back-office customer management to not only ensure you’re providing a great customer experience, but to save time. A single customer might interact with you in store, on your website, in a marketplace like Amazon or eBay, plus they might see some of your ads and follow you on social media. In order to deliver a personalised and exceptional experience for them, you need a single view of that customer. Which you can get if you have a centralised database to track their journey, and their purchase history, no matter which channel they’re on. If customers can check in on their order and do things for themselves, like tracking their own purchase history, lodging returns, and checking the status of their loyalty program rather than having to email or call you to do it, then it’s going to be a much better experience, and one less task for you to do. Another thing you can do to optimise your management of customers is to streamline communications. For example if a customer has contacted you to ask for an exchange or refund and you’re using a tool like Zendesk to manage your communications, then you’ll want to see that against their name in your retail platform in real time. Your retail platform holds a treasure trove of information about your customers that you can tap into to save time and grow your business. For example, if you can integrate your retail platform with your email marketing platform you will be able to tap into vital data like ‘date of last purchase’, ‘purchase value’, ‘total lifetime spend’ and ‘at risk customers’ to send segmented emails with personalised offers that are likely to get a much better result. And this is much quicker and more reliable than if you export the data, manipulate it and import it back into your email platform. Tip: Neto helps you deliver awesome customer experiences and build loyalty by giving you a single view of the customer. Learn more. Order fulfilment is the step in your retail process where you deliver on your promise. Literally. Nowadays, customers expect high-speed, low-cost (or free) shipping and they expect to be kept informed throughout the whole process. So, you must be able to deliver your customers’ order on time, in perfect condition, with accurate and complete documentation. The first way to identify if your fulfilment process can be optimised is by asking yourself, Can I view all my orders in a single system, anytime I want? And the next question is where can you view your orders from? Are they cloud based? Can you check them out while you’re at your warehouse? Can you process them while you’re moving around the warehouse? What about on your mobile phone or tablet while you’re on the go? If your orders from different sales channels aren’t integrated into a central system, you’ll only ever see part of the story, and that limits your ability to run an efficient operation. So our number one recommendation for speeding up your fulfilment process is to view all your orders in one place, which you can do with an all-in-one unified commerce platform. Optimise your shipping by integrating your retail platform with your shipping/freight providers, allowing you to get real time shipping quotes from multiple carriers and automatic selection of the cheapest option. 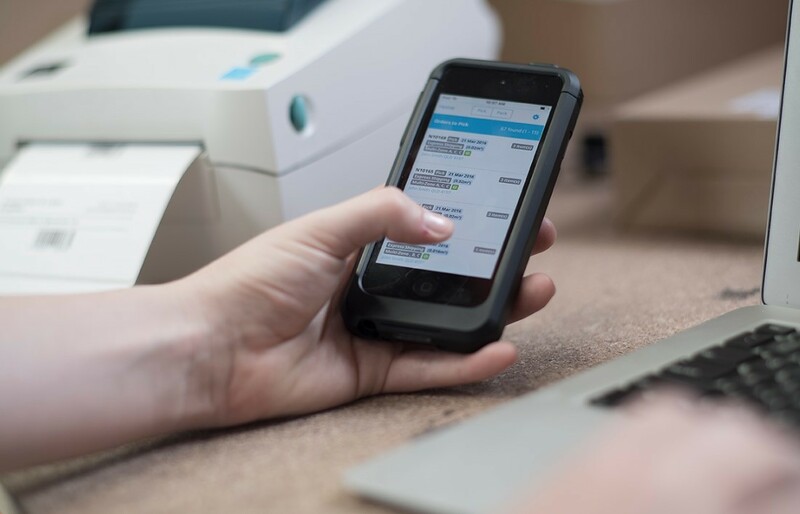 Reduce time spent picking, packing and labelling products by using warehouse zones, apps (mobile or web), barcode scanners and printing labels and manifests directly from orders. Automate transactional emails to keep your customer informed of their order’s progress. By reducing your costs and improving your ability to meet demand, effective inventory management can increase your cash flow and free up your working capital, so you can invest in other parts of your business. And the effect is significant: improving your inventory management by 15% can add over 30% to your bottom line. The first most important thing is ensuring that your inventory management is properly integrated with your retail platform. This means no more spreadsheets! Manually tracking and updating your inventory in a spreadsheet is not only a massive task, it is also highly prone to errors, and means that you can’t view your inventory in real time and respond quickly to changes. Access real-time stock levels across all locations (particularly handy if you have multiple warehouses). Track stock from when you receive it at your warehouse right through to stocktakes and order allocation until you ship it to customers. If you’re using Pick’n Pack your stock will automatically be deducted from an order line as it’s picked. Plan your replenishment and stock transfers. If your inventory management system has good data and reports, then you can use a combination of real-time data, trends and demand-forecasting to know exactly how much you need to purchase, and that way you won’t be sitting on unnecessary stock that’s costing you money. Speed up ordering by saving supplier details and quickly adding products to a purchase order from a product list, inventory report or outstanding sales order. Or you can automatically re-order once stock gets below a certain level. Keep your inventory in-sync across all your channels. Neto Retailer, Hooked Online used to spend 40 hours a month doing stock ordering which involved the founder, Paul Nieuwenhuys, walking up and down his warehouse aisles counting stock manually. After optimising his inventory and purchasing, this task now only takes two hours of his time. Read more about Paul’s story in the Hooked Online Case Study. As we’ve mentioned, keeping your inventory in-sync across all your channels is crucial to avoiding overstocking and understocking of products. If you’re running even just one marketplace in addition to a webstore then duplicating all of your efforts across each platform can get very messy very quickly. Using the same platform to manage your marketplace listings that you do for your webstore means that all your data is in one place, streamlined. Make sure you use the same listings from your website for marketplaces (eg. images, prices, descriptions). With Neto, eBay works like a mirror of products in Neto, so you can simply click a couple of buttons and all your existing webstore listings will populate for eBay. Keep it consistent. It’s not good for customers to see a difference price on a marketplace to the one that is offered on your webstore. So if you are running a promotion or discount on one channel, it’s best to run it on all your channels. Price monitoring. If one of your competitors is just a tiny bit cheaper than you, you will lose sales, but you also don’t want to be pricing too low and losing out on your margin. An automated repricing tool like StreetPricer will do this for you. If you are selling through retail and looking to expand your reach, wholesale can be a strategic move, and similarly if you’re in wholesale, tapping into the retail market can help boost your sales. It might sound like more work than it’s worth, but just because you are selling to two different markets it doesn’t mean you need two different platforms. The right platform can manage both your retail and wholesale operations, managing different customers, pricing and even products. Login to view: with the ‘log in to view’ feature, your wholesale customers can manage their accounts, track orders and pay invoices. On-account sales, credit limits and invoice terms, allowing your most trusted customers to buy on their account and pay later. Accepting orders and quotes online. Tip: Neto makes selling via wholesale and retail in one platform simple. Find out more. Optimising your back-office operations will help you run an efficient, headache-free business, but it also brings another benefit: everything you need to price your products appropriately. With a good understanding of your operating costs, you can better identify the margin you need to ensure your business is profitable long into your future. It’s important to build your pricing strategy on data, not just a gut feeling. If you can make it cheaper to buy, store and sell your stock, you can make the same profit at a lower price point. Ensuring you have enough stock on hand to meet customer demand (without incurring extra storage expenses). Time your discounts and sales to shift slow moving stock and boost sales during slower months. Automated pricing, we touched on this earlier, but automated pricing is the best way to ensure you are offering the most competitive price without pricing yourself too low. One of the biggest challenges and time-suckers for retailers is the fact that customers now interact with you via multiple channels - recent figures show that two thirds of customers use multiple channels when purchasing a product. It’s becoming common practice to look up a particular product on my mobile, then make the final purchase from a computer at home or laptop at work, sometimes (especially with bigger-ticket items) shoppers like to check the product out in person to make sure it meets their expectations. That’s three channels for one purchase! A lot of shoppers also expect this experience to be consistent (75% in fact). It’s predicted that by 2020 customers will value the purchase experience over product AND price. Therefore it’s more important than ever for retailers to deliver a consistent experience across every channel. But as you can see from what we’ve gone through today, this creates a LOT of extra work (on top of the usual retail activities). The key to a profitable business is running an efficient back office that uses the latest technology to speed up your processes and minimise your operating costs. 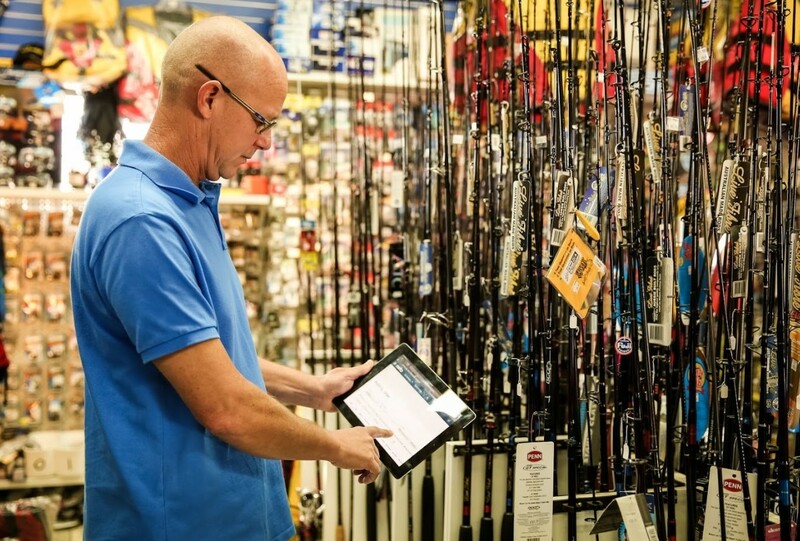 And it’s not just about omni-channel technology anymore, it’s about unified commerce, which is essentially a single platform to manage all of your retail touchpoints. Q: Is there a preference for barcode scanners that can be used for Pick’n Pack? The Linear Pro hardware wraps around the device, which we have available through various partners and are used by some of the largest retails like Bunnings, and Neto Retailers, Spotlight and Anaconda, however you can use any standard USB or Bluetooth barcode scanner. Q: Is there a demo of the Pick’n Pack available by video? Here is a link to the demo video shown in the webinar, you can also find out more about Pick’n Pack on our website and in our support docs. If you would like to know more about optimising your back office, download our free Manage Everything guide.